For all lovers of seafood, it is a treat to see king sized prawns, looking so mouthwateringly succulent, as they appear on the table. Fresher than any that could have been eaten in other seafood destinations, soft to bite and an unparalleled rich taste, at once sweet and firm, Myanmar’s prawns leave us all clamoring for more. Their size varies, but is big enough to evoke a feeling of awe, since large sized prawns are an expensive delicacy. Prawns and shrimp, though belonging to different crustacean groups, are nearly identical in taste, but differ in size and physical features, and form part of the booming food industry, their production through aquaculture, being taken up in every country with water resources like rivers and seas in close proximity. The terms shrimp and prawns are used interchangeably though, shrimp generally referring to the smaller sized prawns. Once a delicacy not available to the majority, prawns have now become extremely popular as the ultimate exotic seafood whose consumption is inching up. This explains why aquaculture has become a booming business, to feed the spiraling demand for prawns and other seafood. Commercial farming for prawns and shrimp was initiated in the 1970s, and over three quarters of the farmed prawns come from Asian countries, the market growing considerably in the last ten years. Major Asian contributors to the shrimp market include Thailand, India, Vietnam, Indonesia, Philippines, China, Myanmar and Bangladesh. Of all the fisheries products, prawns have the highest value in global trade, with Japan, US and EU being the biggest markets. Prawns are crustaceans, and perhaps the most versatile, exotic seafood found in the chilled waters of Greenland in the north to the southern most parts of South America. Nearly all varieties have a narrow, tapering body, varying in size and thickness, encased in a brittle shell, the tail is curled, have ten pairs of legs, and they have long, whisker-type antennae. Prawns need to shelled and deveined before they are ready to be eaten, though certain communities use them whole. Ideally the head is discarded, the shell removed and the sand vein (the digestive tract of the prawn) pulled out. Removing the tail remains optional. The flesh left to be cooked, is much smaller than the whole prawn. Prawns are being added to daily diet not just because of their great taste, but also because of their nutritional content and health benefits. Low in calories- at a time when calorie count is of utmost importance, prawns provide taste and flavor, without adding too many calories. Dieticians recommend prawns to the obese since they have half the calorie count of an equivalent amount of chicken. Low in fat, high in protein- prawns are a low fat source of protein. 100 grams of prawns provide 25 grams of protein. They also contain beneficial monounsaturated fats including Omega –3 fatty acids. Rich vitamin source- prawns are rich in Vitamin A, E, B6, B12 and niacin, which help build muscle, produce energy, and replenish the red blood cells in the body. Rich in minerals- prawns contain essential minerals like calcium, potassium, copper, zinc and phosphorous, the deficiency of which lead to numerous health problems. Reduce cancer risk – prawns contain selenium which reduce the risk of cancer in humans. Prawns can be easily found near seafloor near most coastal areas and estuaries, besides rivers and lakes. The numerous species adapt to their specific habitats. Majority of the shrimp species are marine species and only one-fourth of the species are in fresh waters. Out of the hundreds of species, there are only around 20 species that are of significance commercially, and used in the food industry. Prawns live in rocky, sandy and sub-tidal habitats, and prefer depths of at least 70 meters. They thrive in crevices and in muddy bottoms of water bodies. Prawns spend the first part of their life cycle as males and the later part as females. The breeding period is typically in autumn, and hatch in spring(March-April), at a depth of 70-90 meters of water. During the first year of their life, they remain in shallow waters, at a depth of 55 meters or less, in inlets and bays, since there is abundance of food supply at this level for their carnivorous food habits. In one year after hatching they grow to a size of 100 mm, and start moving towards deeper waters. As the second year begins they are 150 mm in length. In the fourth spring, at 200 mm, they turn female, and their typical life span is 4-5 years. The abundance of water bodies in Myanmar and surrounding it, make it the ideal place for aquaculture. 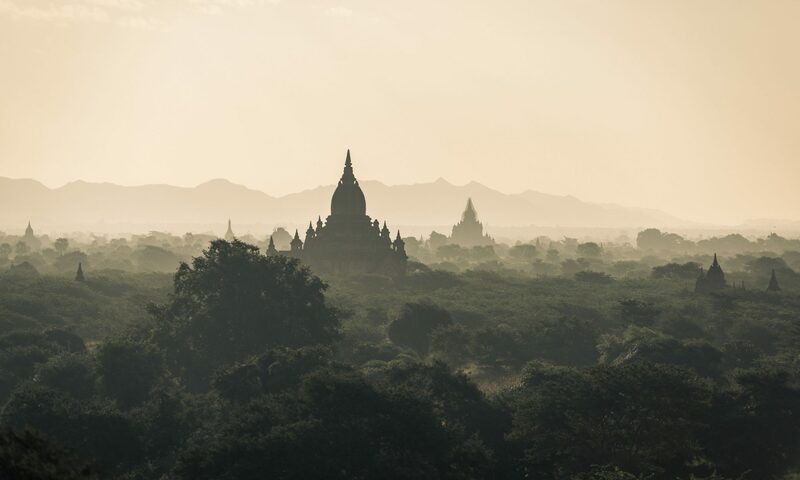 Myanmar has a competitive advantage with low pollution levels, a wide range of species devoid of disease, and its ability to provide off-season supplies to feed international markets in both east and west. Aquaculture was first started here in the 1970s, and since then, over 40,000 hectares of fish and prawn breeding farms have come up, producing over a million tons of both. The first harvest of cultured shrimp in Myanmar was sold in 1984 when 7 tons of freshwater prawns were sent to the market. There are approximately 25 shrimp species known to exist in Myanmar’s waters. Prawns form an important part of seafood exports, though most of the produce is domestically consumed and only 8% of the total output is exported in 2013. Out of the total exports, shrimp exports were valued at USD 68.64 million in 2010-11 according to the Fisheries Statistics of Myanmar. These included tiger shrimp, pink sea shrimp and dried shrimp. The three coastal regions where prawn farming is highly successful include the Rakhine Coastal Region, the Ayeyarwaddy Delta, and the Thannintharyi Coastal Region. The Rakhine State has the largest area under shrimp cultivation covering over 155,000 acres. All these areas see peak production during the rainy season from May to August, while the lean or off-season lasts between December and March. Extensive farming methods are commonly used in the shrimp farming sector and production levels of 100 kg of shrimp per hectare per annum have been maintained in the 10,000 acre shrimp farms operational since 1978 along the Naaf River in Rakhine State. The trap and hold method is gradually giving way to the better intensive farming. According to estimates, 85% of the entire shrimp farming acreage uses extensive farming techniques, which relies on post larvae trapped in ponds. Offshore, shrimp are harvested by commercial trawler fleet, which include mainly yellow shrimp and speckled shrimp. In shallow waters around coastal areas, where large numbers of giant tiger prawn, banana prawn and red tail prawn are found, shrimp are caught by artisanal fishermen. The industry was supported by the Asian Development Bank which provided loans in 1984-85 to enable the use of more scientific farming methods, provide training to technicians abroad, and set up two shrimp hatcheries and 3 brackish water shrimp farms. The Myanmar government is now attempting to help the seafood industry by assisting aquaculture. The shrimp industry has yet to recover from the widespread devastation caused by cyclone Nargis in 2008 since the hatcheries and entire production systems got destroyed. The government is trying to facilitate upgrading the existing extensive farming techniques in farms to intensive ones, to prevent a declining yield over the years. Other factors responsible for declining yield include mining, as well as the utilization of mangroves for producing charcoal, both of which pollute the potentially promising shrimp culture sites, and destroy the estuarine habitat of post larvae shrimp. The Department of Fisheries started a program of Good Aquaculture Practice in 2011, for shrimp farming. It banned the use of chemicals and laid out a set of standards for shrimp farms to follow. An increasing number of farms have started working according to the GAP standards. The National Policy on Fisheries has been formulated to promote all round development of the sector, increase its production to meet domestic demand and share surplus with neighboring countries, and encourage expansion of the marine and freshwater aquaculture. The giant river prawn has been identified as the most promising species whose production must be encouraged. The government needs to support shrimp farmers for at least the non recurring expenses by facilitating the construction of storehouse, dykes and gates, and provide funding for purchase of equipment like pumps, aerators, shutters, screens, nets and traps. As of now, no standardized quality checks and controls have been put in place. Regular quality testing and systematic controls need to be put in place for shrimp sent to domestic markets as well. At present the Department of Fisheries inspects and carries out laboratory tests on export produce before certifying it. Involvement of the private sector will help in pumping in funds desperately needed to improve the prawn industry so as to increase exports which will bring in much needed foreign exchange. The private sector will also be able to bring in technical expertise and the latest equipment, besides onshore facilities for freezing at source to preserve freshness. As the world discovers the hidden treasures of Myanmar, a country rich in endless natural resources, it is only a matter of time before it also becomes a foodies’ paradise, like Bangkok, the capital of neighboring Thailand. The quality of produce is richer since it is still largely organic, not genetically modified and the time span from farm to table is very short. The water bodies that beautify this country that is undoubtedly Nature’s Paradise, have the most amazing marine life that is now being exported to scores of countries across the globe. Prawns are part of the seafood exported to countries like Japan, EU, US and South East Asian countries, and can bring in far more earnings than they do at present. Myanmar can go a long way in using aquaculture to increase its shrimp output manifold. For now, this is being obstructed by a complex framework of regulations, poor capital inputs, outdated technology and absence of trained labor, lack of awareness of overseas market factors and the fragmented industry structure. Prawns have a life of 4-5 years on average. Prawns begin their lives as male and turn female after 2-3 years for their remaining lives. Cold water prawns are sweeter to eat than warm water ones. Wild shrimp has a better taste and flavor than farmed ones. Biggest prawn markets are China and Japan.